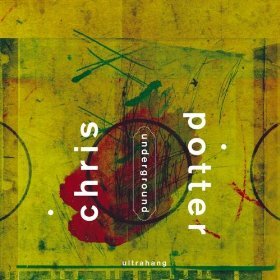 Saxophonist Chris Potter’s new album, Ultrahang (ArtistShare, 2009), is an exploration of groove and melody. In this interview, recorded before Potter’s performance with Dave Holland at the 2009 Tanglewood Jazz Festival, Potter talks about how a middle-class kid in Columbia, SC, ended up liking Chicago blues; why he looks first to please himself with the music he makes; and how rhythm breaks down barriers with an audience. Learn more at www.chrispottermusic.com. EVENT: Chris Potter’s Underground (Adam Rogers – guitar, Craig Taborn – Fender Rhodes and Nate Smith – drums) will be at the Village Vanguard this week from Jan. 5-10. More information is available at villagevanguard.com. Jason – this isn’t showing up on iTunes this morning. The new update of Podpress, which I use to serve the feed to iTunes, is apparently broken. I just checked the feed stats, and it looks like the last three episodes didn’t make it to iTunes. Thanks so much for bringing this to my attention. I run a Linux computer without iTunes, so I sometime miss these glitches. It’s now fixed and should be showing up in iTunes. While I wasn’t able to grab this on Monday due to iTunes issues above, I realized I had never bought UltraHang! Shame! So I went and grabbed the MP3 version so I could listen to it on my iPod. Wow – he speaks of the group as a ‘live band’ and at times I had to remind myself that it was a studio session! Great intensity, and I love the dynamic of the bass-less group. I have to admit that I was disappointed at how short this one was … I had been loving the ~30 minute sessions last year, but since so many lately have been at least 45 I was surprised when it ended! This interview was recorded at the Tanglewood Jazz Fest before Chris’s gig with Dave Holland. We had a limited window in which to do the recording, which is why it’s so short.